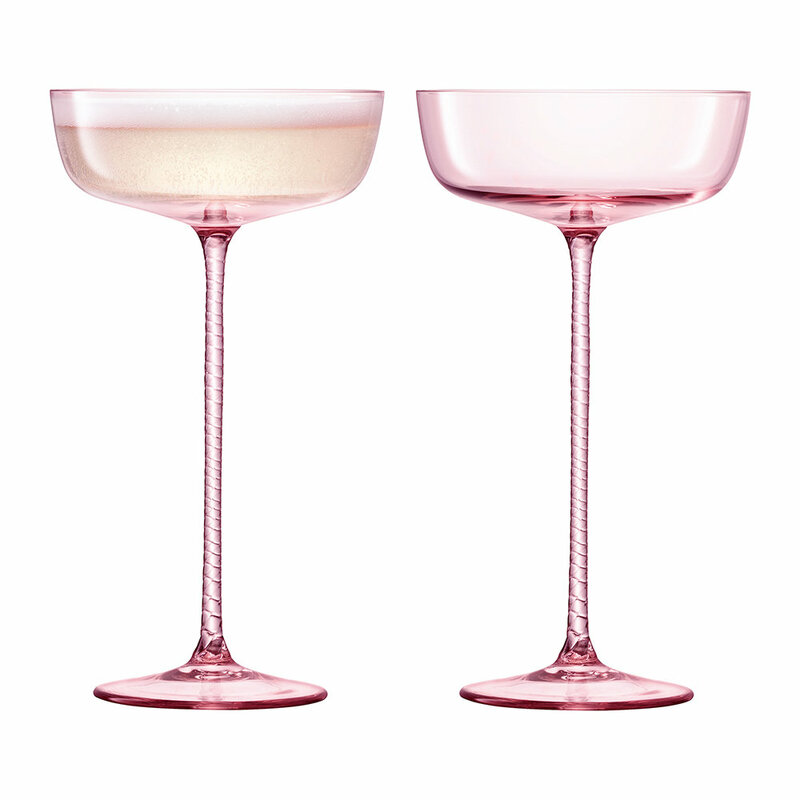 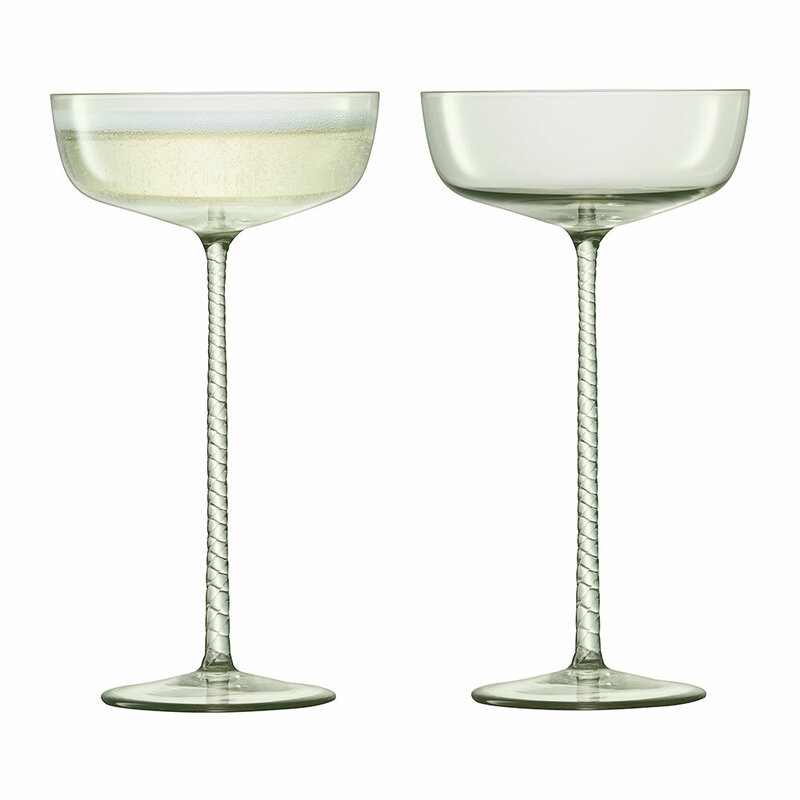 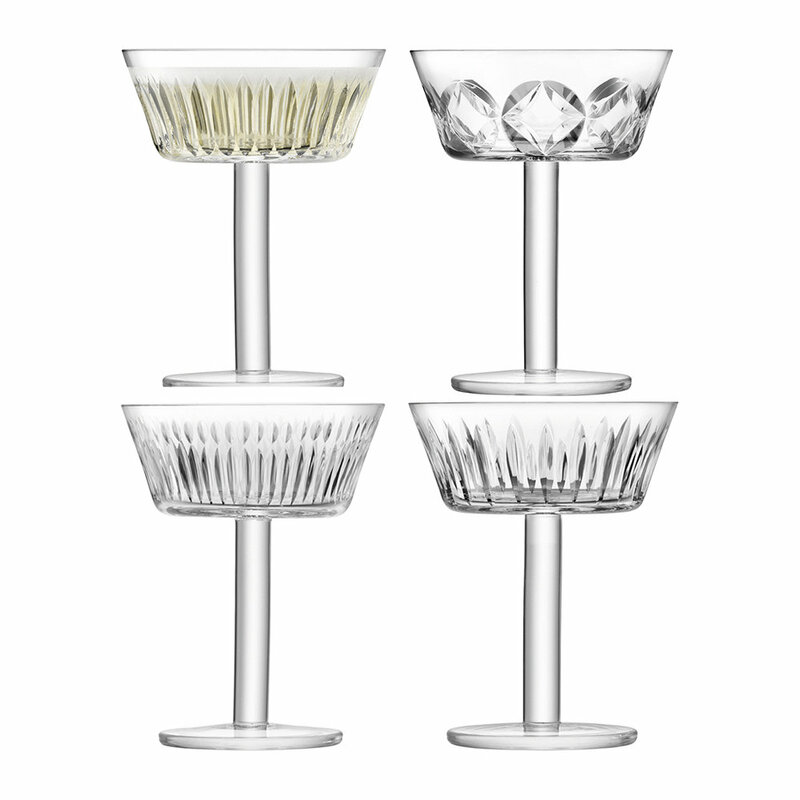 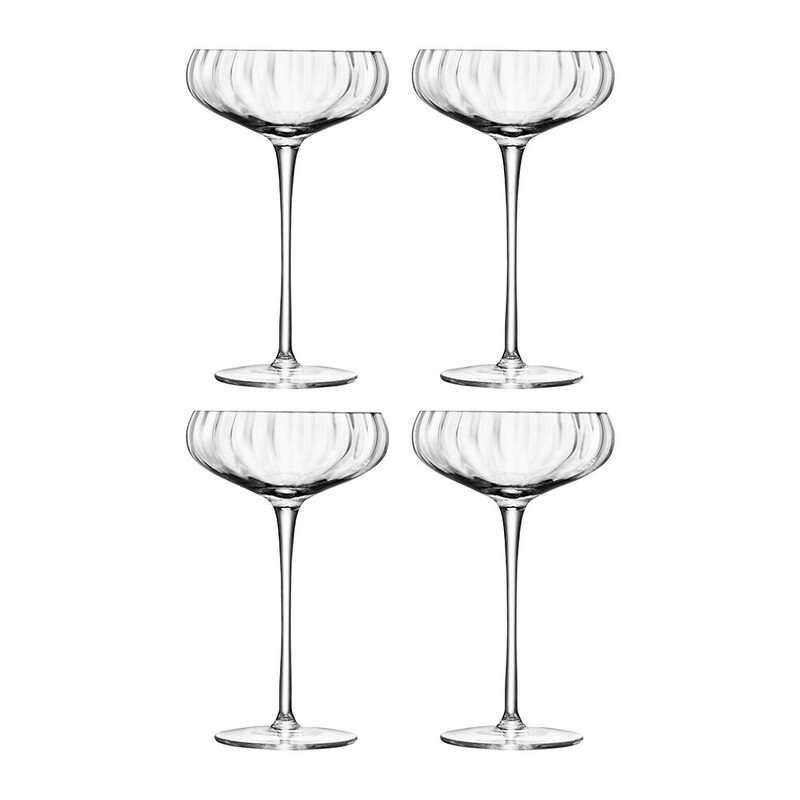 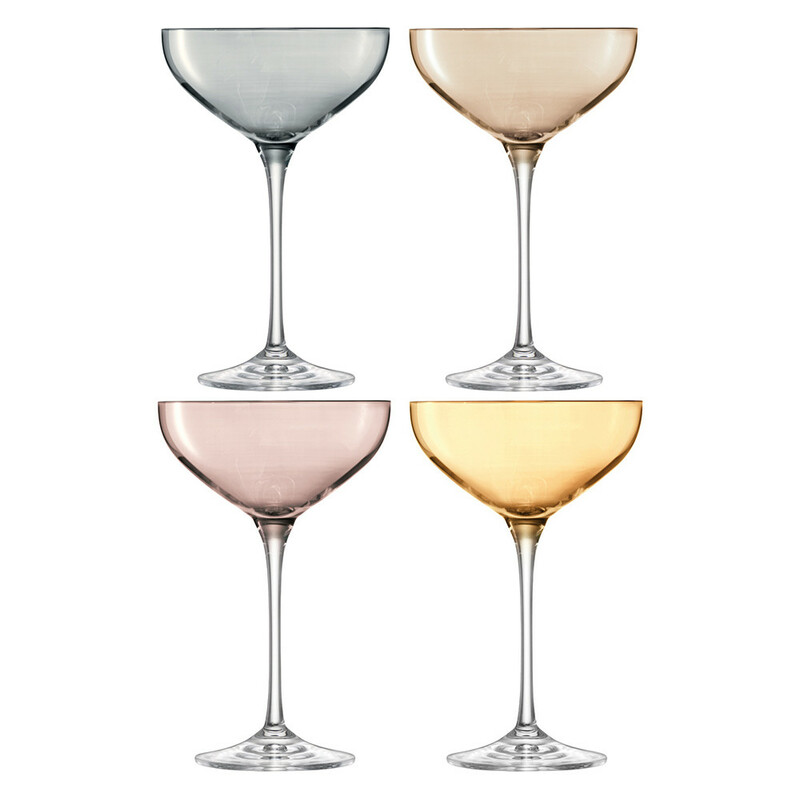 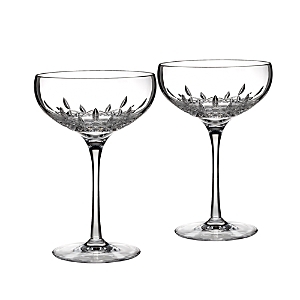 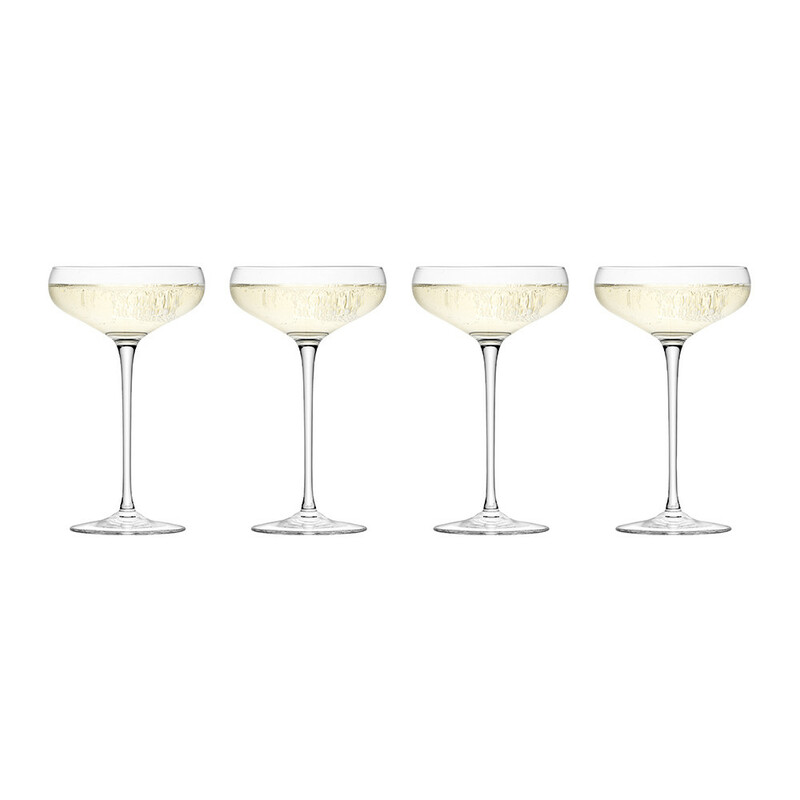 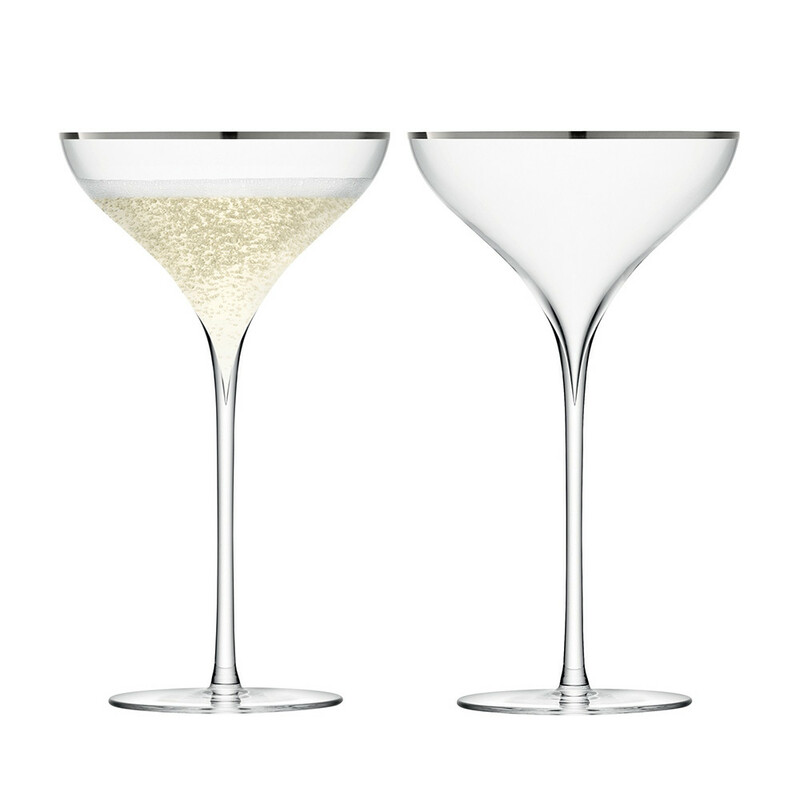 "Mouth blown into the mould, this set of four glasses features a beautiful ripple surface. 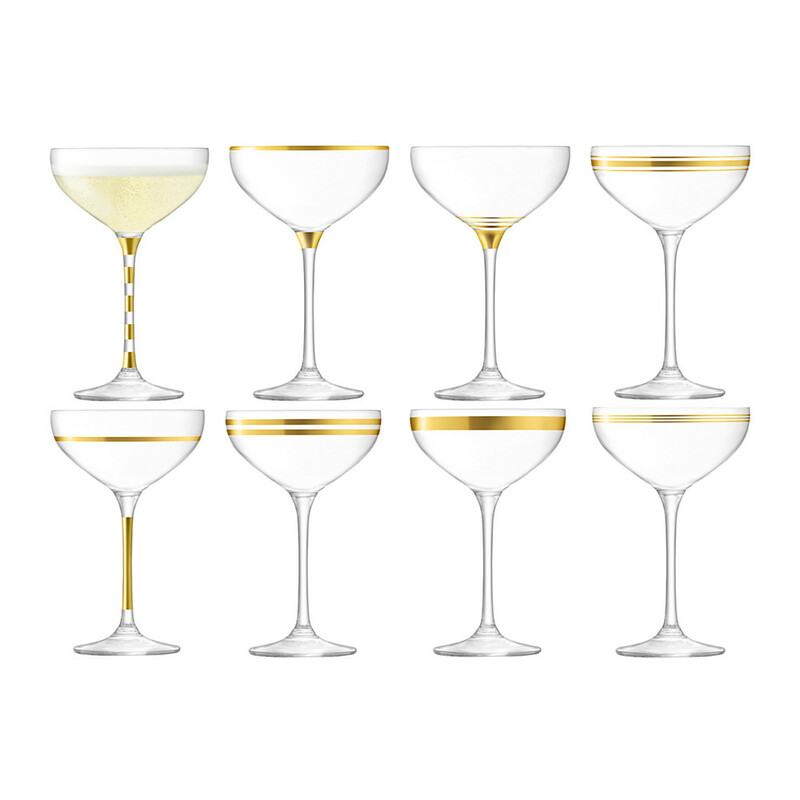 The vertical ripples add a strong and sophisticated look and the varied geometric shapes create dynamic and energy between the glasses and function as a stackable design element. 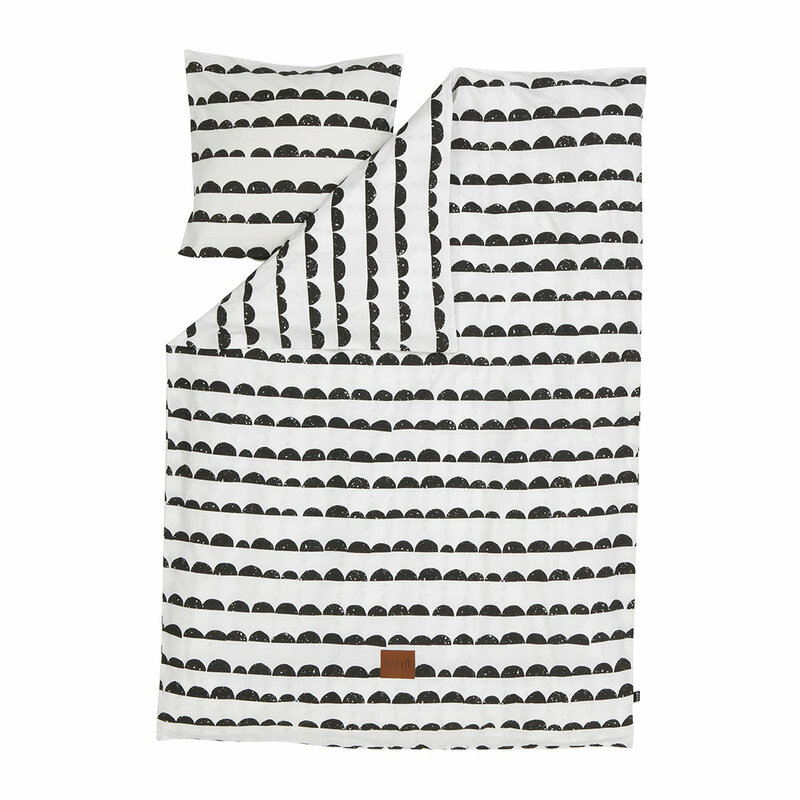 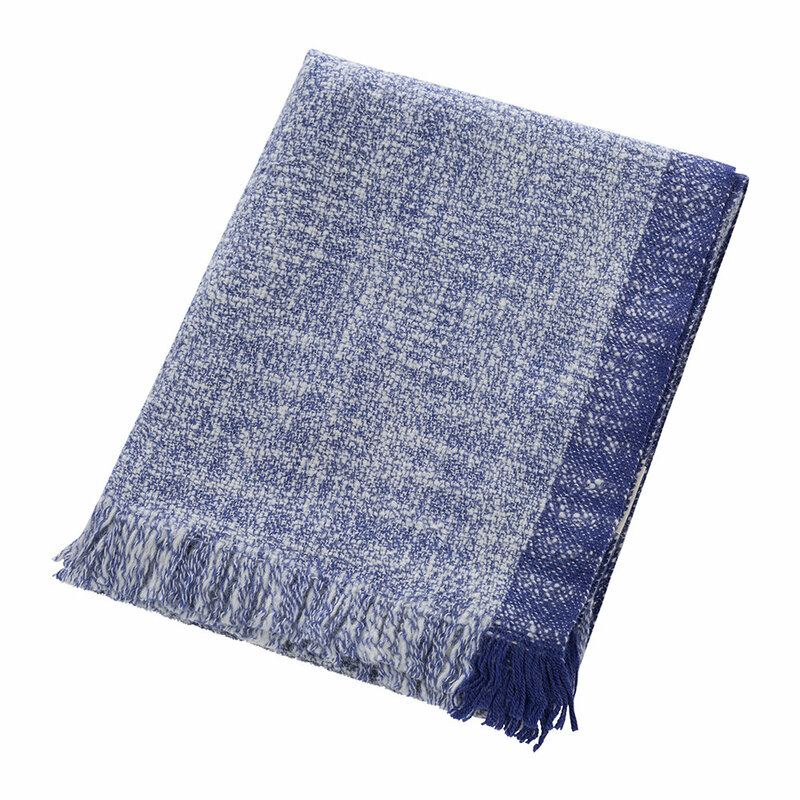 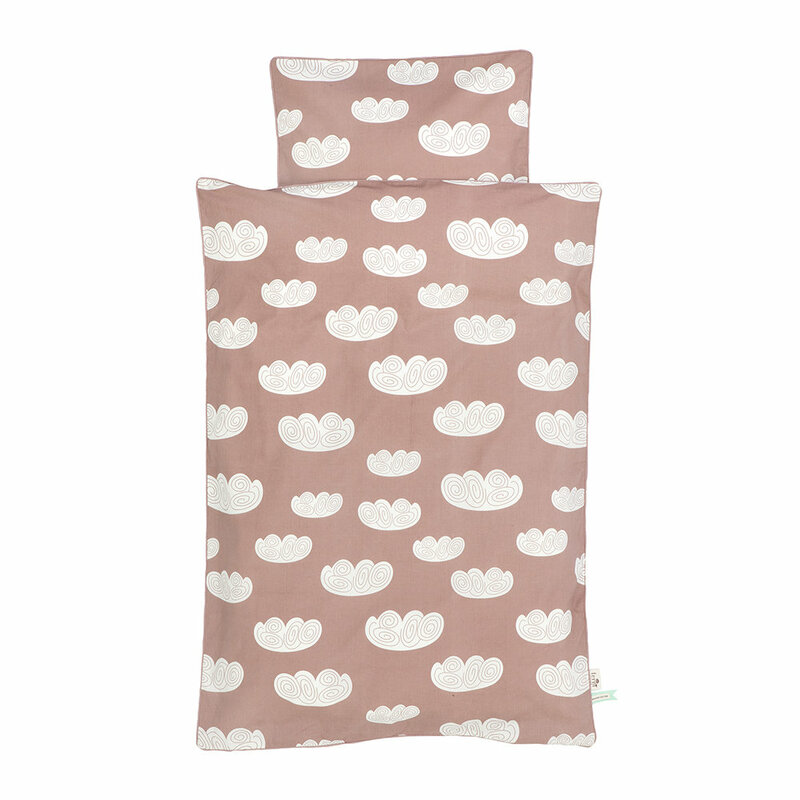 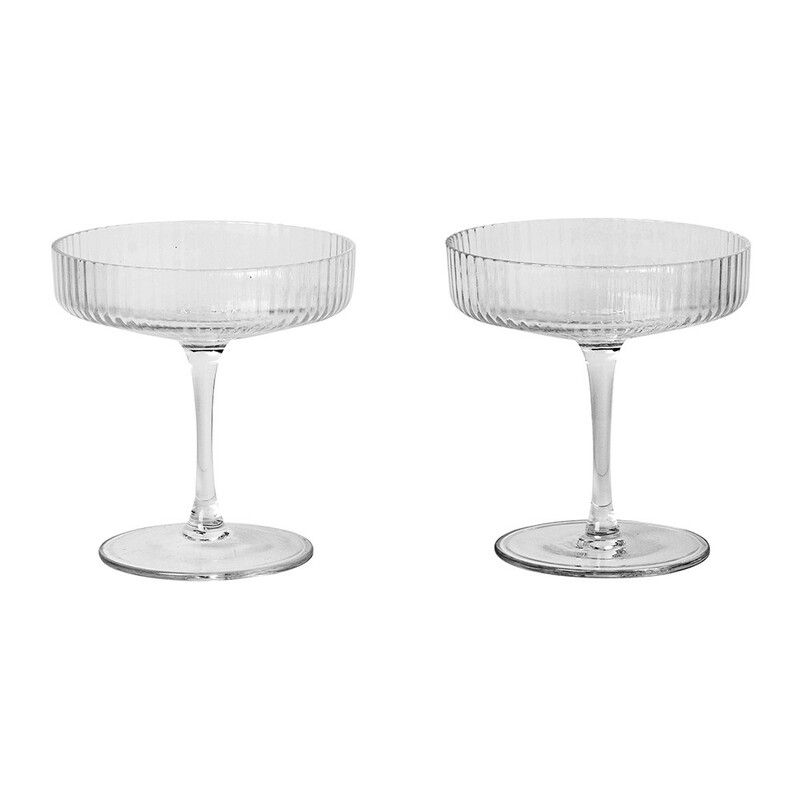 Pair them with the matching carafe for a stylish set at breakfast, lunch or dinner. 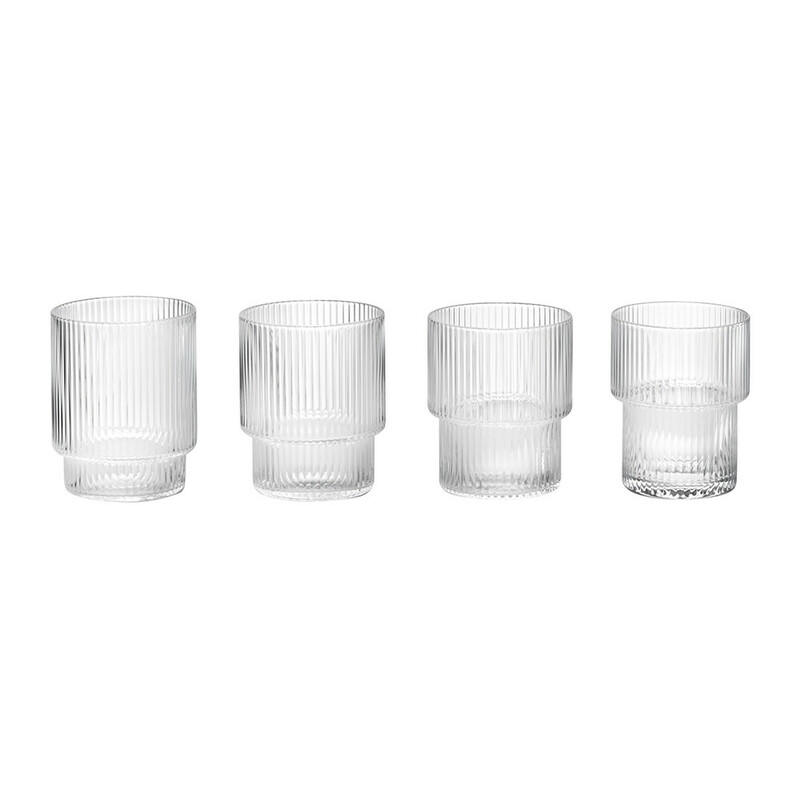 Stackable Set of four Matching carafe Color: Glass Size: H: 3.5"" x W: 3"" Material: Mouth blown glass Care instructions: Dishwasher Safe *please allow 3-5 days to ship out and receive tracking"
"Channeling a sophisticated feel with their rippled surface of the mouth-blown glasses, the Long Drink Glasses are a natural part of an evening in good company. 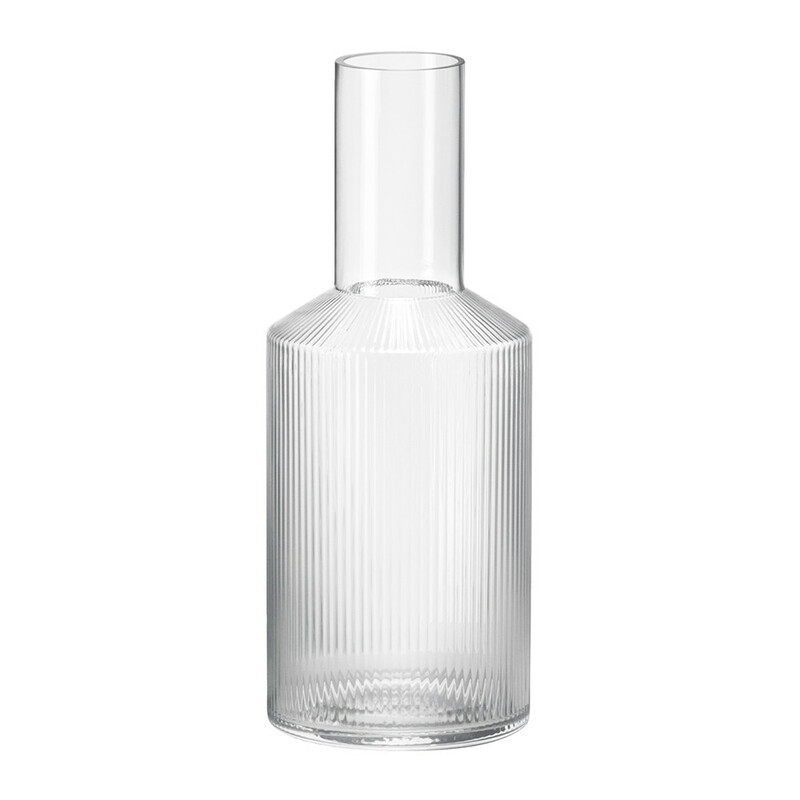 Individually shaped geometric forms are the foundation of this dynamic glass series, equally aesthetic and functional. 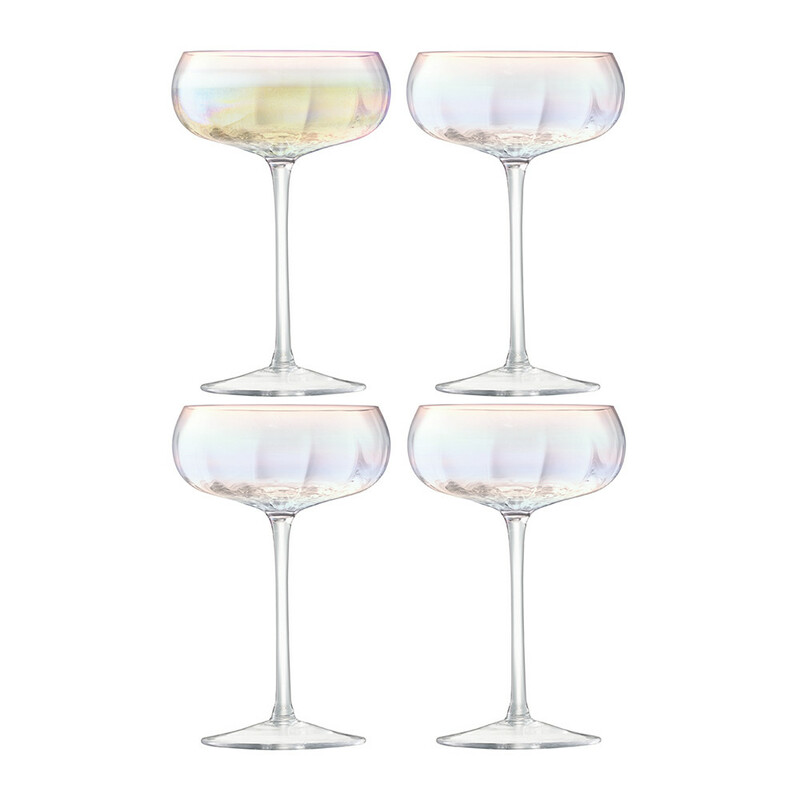 Pour in your favorite drink and watch as an iridescent play of light and textures appears in the ripples of the glasses. 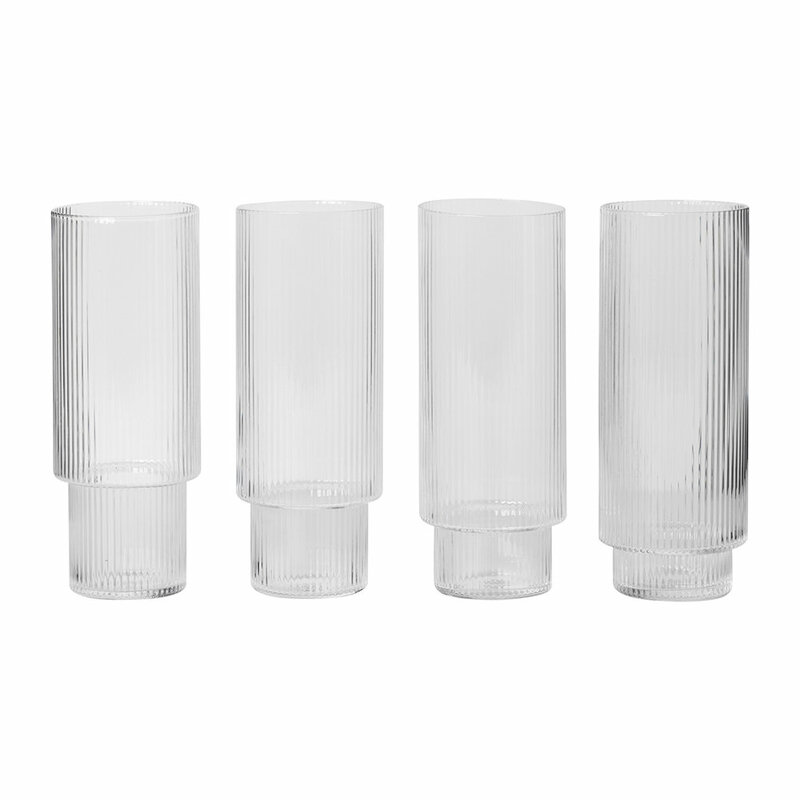 Set of four Color: Glass Size: H: 5.5"" x W: 2.75"" Material: Mouth blown glass Care instructions: Dishwasher Safe Please allow 3-5 days to ship out and receive tracking"
"Mouth blown into the mould, this practical and beautiful carafe features a rib-like design for a contemporary look. 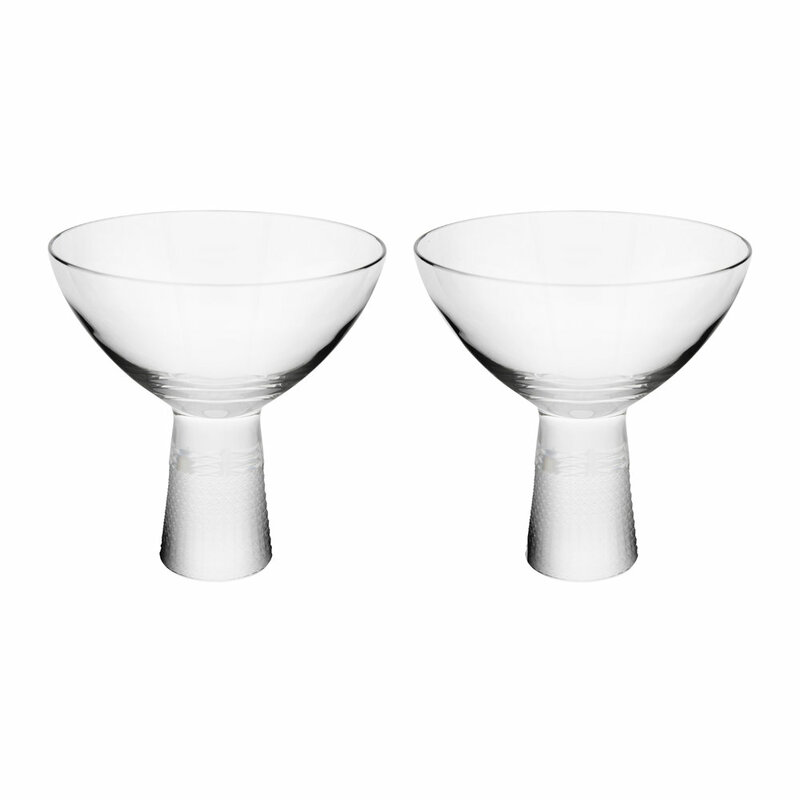 Fill with water, juice or your favourite drink and pour into the matching set of glasses for a stylish way to serve. 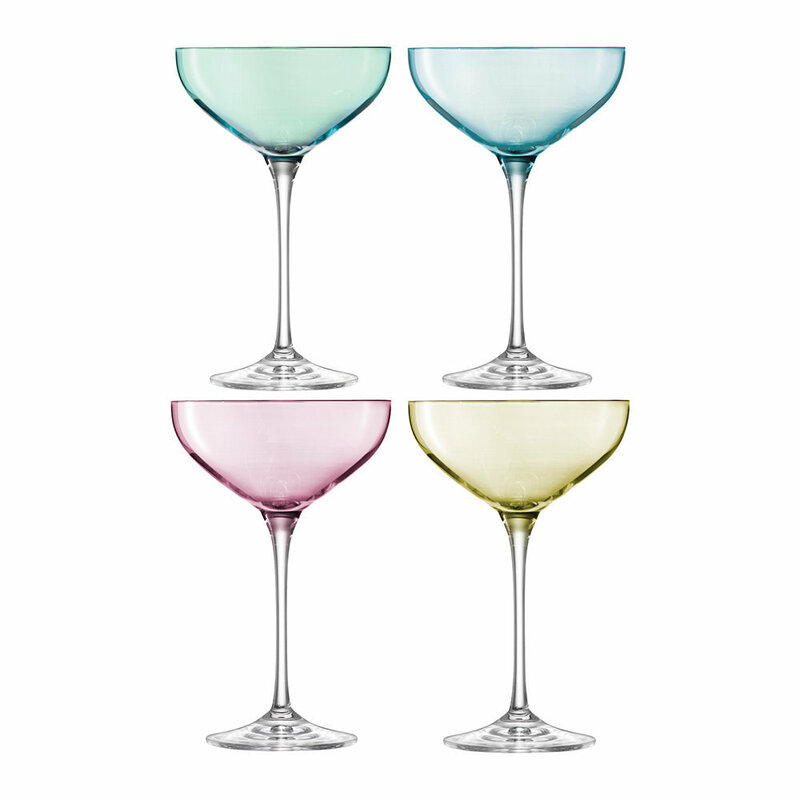 Open top Matching set of glasses Color: Glass Size: H: 13"" x W: 4"" Material: Mouth blown glass Care instructions: Dishwasher SafePlease allow 1-2 week to ship out and receive tracking."